One of the best facets of Hong Kong’s dining scene is the sheer multitude of options available to us when hunger strikes — be it pocket-friendly street food, Michelin-starred tasting menus, classic Chinese cuisine, fiery Latin American flavours or something else altogether. As we head into the busy restaurant season, October’s new openings reinforce the diversity of Hong Kong’s culinary melting pot, from an authentic Southeast Asian kitchen from one of the most celebrated Thai-cuisine chefs in the world, to classic Chinese recipes revived with painstaking care and casual Italian seafood dishes served up on the breezy Kennedy Town waterfront. Whatever you’re craving, you’re sure to find it in this month’s new restaurant openings. 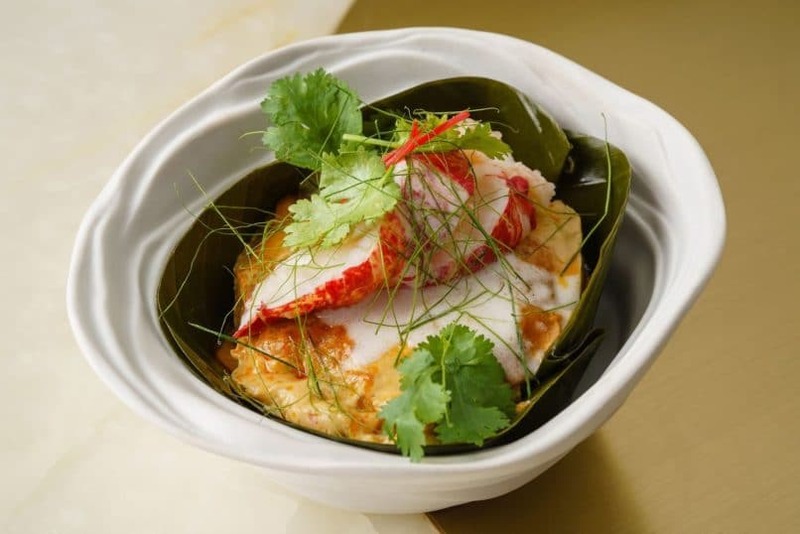 Celebrated Thai-food chef David Thompson arrives in Hong Kong this month with the grand opening of Aaharn, which will serve upscale Thai cuisine from within the revitalised Tai Kwun complex. Dishing up unedited versions of authentic Thai food, Aaharn’s menu will feature recipes based on the idea of Kub Khao, or those meant to be eaten with rice — think deep-flavoured curries, soups, and fresh salads. Occupying a two-storey space in the historic Armoury Building, the upstairs space will feature a refined dining room (not unlike Thompson’s award-winning Nahm in Bangkok); downstairs will function as a more casual bar area dishing up Thai snacks and cocktails, with an open-air façade looking out onto the central Parade Ground. With Thompson considered to be one of the world’s leading authorities on Thai cuisine, it’s almost certain that Aaharn will be one of the hottest reservations this month (and for months to come). New in Causeway Bay is a taste of May Chow’s award-winning culinary creations, as Asia’s Best Female Chef 2017 has just opened another iteration of her flagship restaurant, Little Bao, in Fashion Walk. 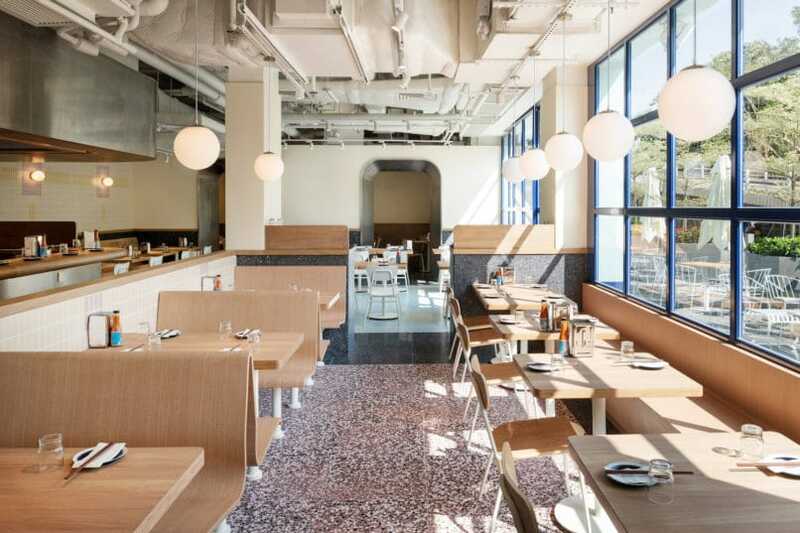 Deemed Little Bao Diner, the sister restaurant to the popular Central hotspot is a much more spacious 100-seater, with an expanded menu and an extended (and dog-friendly) patio for alfresco dining. Expect to taste Chow’s experimental and quirky style of cooking in new creations such as scallop with pickled fennel and fried dumpling skins, shrimp tacos with Szechuan oil, and the Impossible Bao, featuring a zesty patty made with the growingly popular plant-based meat alternative. Loyal Little Bao fans will also be able to get their fix of signature menu items including the Szechuan fried chicken bao and truffle fries with tempeh. Last month, we brought you a sneak peek of ex-kung fu star Lee Ka Ding’s new restaurant, which is now fully open for service inside the ritzy H Queen’s building. At Ding’s Club, the TV-star-turned-chef presents an extensive à la carte menu featuring dishes inspired by his own background and the broader heritage of classic Cantonese cuisine — drawing from and expanding on the menu at his flagship Ding’s Private Kitchen in Causeway Bay. With the goal of offering a more accessible space for fans to taste his beloved recipes, Ding’s Club presents age-old, often labour-intensive recipes, from beggar’s chicken slow-roasted with lotus leaves and a special type of mud, to dong gua winter melon soup imparted with fragrance from the Chinese violet flower. Other dishes showcase Ding’s commitment to sustainable cooking, including scrambled eggs with fresh shrimp, copper pot chicken, and lobster two ways. The grand restaurant is inspired by the lotus shape and includes an outdoor balcony offering panoramic views over the cityscape — a true rarity amongst fine dining Chinese restaurants in Central. Italian culinary maestro Gianni Caprioli opens an extension of his popular Fishsteria restaurant this autumn, nestled fittingly along Kennedy Town’s quaint waterfront promenade. A seafood temple rooted in fresh Italian ingredients, Fishsteria Waterside promises a wide-ranging menu in a no-fuss setting, with floor-to-ceiling windows injecting an alfresco feel and a hearty brunch menu encouraging weekend get-togethers. Following Caprioli’s style of simple arrangements made with top-notch ingredients, the menu is an instant crowd-pleaser: Try the signature lobster roll brimming with sweet chunks of crustacean, or the tuna poké foccacia combining fresh tuna with creamy burrata, Italian tomatoes and rocket pesto. For a quick hunger fix, pop in for the smoky salmon charcoal burger — an elevated twist on a fish sandwich that’s been gussied up with capers, onions and crisp lettuce. At dinnertime, guests can stop in for a longer, more leisurely meal, with large-format plates meant for sharing. Signatures include the orbetello fish — grilled, braised or salt-baked — and the signature lobster macaroni splashed with brandy and white wine. Adults can linger over the meal while poring over the extensive wine and beer list, while kids take a whack at the foosball table in the kid-friendly dining room. Those wishing to replicate the meal at home can stop by the retail counter, where a selection of fresh fish and seafood can be purchased along with premium Italian staples such as cheeses, olive oil, balsamic vinegar and dried pastas. After nearly a decade of operation, Shore has been given a complete facelift and will debut this month as a brand new concept, encompassing a formal dining room (Hunter, 4/F), and a cocktail and mixology bar (The Chase, 3/F). Employing a more modern approach to the dining room, the restaurant’s owners have appointed renowned Australian designer Samantha Eades to redesign the space, creating a spacious room rich in timber tones, supple caramel-brown leather, and natural grey and green hues that evoke the feel of a classic gentleman’s club. Leather banquettes and deep, plushy booths provide comfortable seating for guests to linger over private dinners or business meetings. As for the food, Hunter elevates the steakhouse experience with a range of alternative cuts, focusing on unique ingredient pairings with produce sourced from local artisanal suppliers. Kick off the meal with border-defying dishes such as sashimi geoduck with lime and yuzu; potted rabbit confit with duck fat, orange zest, and pickled root vegetables; and bison tartare with a spicy aioli. For mains, skip the classic ribeye for meaty bison short ribs with house-fermented pickles; or the roasted pig’s head, slow-roasted for five days and served with house-made slaw, horseradish crème fraiche and ginger sauce. Top it all off with apple pie drizzled in whiskey-laced caramel, then head downstairs to The Chase to sip a range of equally experimental cocktails. Prepare to pay tribute to the glorified truffle this October as a restaurant dedicated entirely to the prized tuber lands in Harbour City’s Ocean Terminal extension. The harbour-facing, 3,000-sq.-ft. Artisan de la Truffe Hong Kong is the latest in a long list of overseas outlets of the original Paris institution, joining the likes of Hamburg and Tokyo in bringing an abundant taste of all things truffle to the everyday diner. Every single dish on the menu here will feature a taste of the luxurious delicacy, with truffles sourced from different areas around the world depending on season and availability — including black truffles, white truffles, Brumale truffles, Australian black truffles…you name it. Signature dishes have been brought over from the Paris flagship, as well as a range of truffle-spiked desserts, Champagne, wines and coffee. Still craving truffle? Stop by the retail corner to have your pick of truffle-infused products, from white truffle olive oil to summer truffle pralines. Lai Sun Dining will debut a brand new concept this October, inspired by the idea of a casual Asian food store. Offering a broad array of Asian favourites, the laid-back Sun’s Bazaar draws in passers-by from the first floor of Pacific Place, replicating the feel of a bustling food market with affordably priced dishes and fuss-free fare such as congee, rice and egg noodles, vegetarian dishes, and shareable plates. Highlights include the steamed rice casserole, stir-fried noodles with pork neck and crispy garlic, and the homemade rice rolls with fresh crab meat. Partnering with the uber-popular Kiki noodle brand, Sun’s Bazaar also offers a selection of dishes featuring the instant packaged noodles, such as Kiki noodles with eggplants, minced pork in garlic and chilli sauce. For beverages, guests can head to the Kiki Tea stand, dedicated to the brand’s new selection of Taiwanese pearl teas with specially made Sichuan pepper, Chinese herbal, and brown sugar pearls. 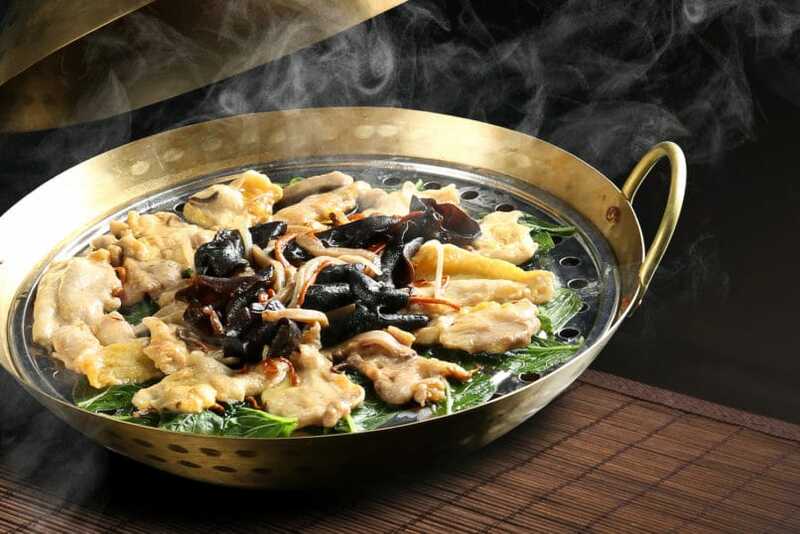 Singaporean-based Paradise Group is opening another branch of their ubiquitous Paradise Dynasty chain in Tsim Sha Tsui this month, bringing an affordable taste of Chinese, Malay and Singaporean dishes to Kowloon-side diners. The TST outlet will feature dishes exclusive to the branch, including the handmade chilli crab xiao long bao, which infuses the tastes of the popular seafood dish into the ubiquitous dumpling format. To round out the meal, diners can chow down on signatures of the chain including 8-flavour xiao long bao, stewed silver needle noodles with salted fish in claypot, Singaporean-style chilli crab, pork bone soup, and stir-fried garoupa fish and squid. For family gatherings and larger groups, banquet tables and set menus are also available with a selection of the restaurant’s best-selling dishes. With all those heavy steak and seafood meals this month, you’ll likely be seeking a refreshing, sweet treat to keep your taste buds in check. With a total of seven shops in Osaka, Kyoto and Tokyo, one of Japan’s most famed dessert shops has just landed in Hong Kong, and is now officially open on Haven Street in Causeway Bay. Like other Japanese dessert brands that have landed in Hong Kong, Yukinoshita is already making waves on social media for its Instagram-friendly desserts, with the signature being the Atsuyaki thick-fried pancakes topped with fresh fruits and sauces. Resembling western-style cakes, the batter here is made with Japanese free-range eggs and milk, resulting in an ultra-smooth texture that features in varieties such as the mandarin honey topped with butter or the uji-matcha pancake paired with Azuki beans and Kyoto black beans. To keep cool in the last remaining days of summer, diners can also opt for the Japanese-style Kakigori shaved ice, which is made with Japan’s natural “soft water” and topped with carefully sourced seasonal fruits and a variety of flavoured syrups. Joining Pacific Place’s burgeoning crop of high-end restaurants this month is Lumi, scheduled to open mid-month. A natural, light-filled space meant to evoke a romantic Parisian garden, Lumi (taken from the word “luminous”) aims to bring diners a moment of sanctuary and respite from the crowded cosmopolitan chaos, welcoming everyone from finance execs to yogis into its chic urban oasis. Helmed by chef Kihachi Kumagai, the restaurant serves a combination of French-Japanese cuisine, with all-day dining including baked goods paired with coffee in the mornings, soups and sandwiches for lunch, and dinner service featuring handmade pastas, steak and seafood dishes, and a range of rotating fresh salads. A Grab ‘n’ Go service with cold and hot items offers added flexibility for office workers in the midst of their morning commutes.